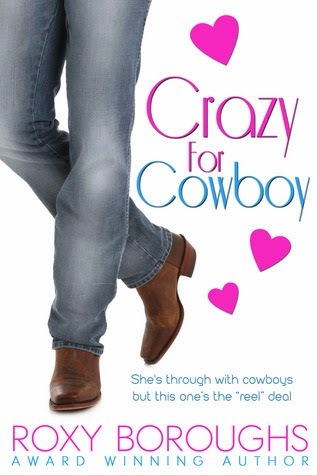 Number of pages: 198 P.
She’s through with cowboys. But this one’s the ‘reel’ deal. Equine veterinarian, Emily Grant, has had her share of cowboys, and they always break her heart. After vowing to give them up forever, Brandon Hollister strides into her life. He’s a different kind of cowboy, one that works on the silver screen. But is he just playing the part when it comes to love? Or can this handsome hunk get past a case of mistaken identity to become the man to win Emily’s heart. This is one of those feel good books, like I have feel good movies, which I usually attend to if I am in THAT mood. This time I thought the hell, I am not going to watch the Holiday or A Cinderella story for a millionth time, I am going to read a chicklit! And I can surely say I don't regret it one bit! This book was funny, great and very easy to relate to. I loved that it is set in Calgary, a city I have been to, and I know the surrounding farm areas as well. The main character is a veterinarian, a strong woman, with a broken heart. Not wanting an other cowboy to break her heart, she closes herself of from men. But this one just keeps coming, and he is so different from all the cowboys she has dated. This makes it such an entertaining light read. Which I enjoyed immensely. The only thing that I do question, is that some elements seem to be what I imagine Texas to be, for example the accent. I haven't heard anything like that in and around Calgary. But since the author is Canadian and lives in Calgary, she probably knows a lot more about it then me. Fun, light read, recommended to all how love a good chicklit/romance book!
" He was as out of place as John Wayne at an Andrea Bocelli concert."